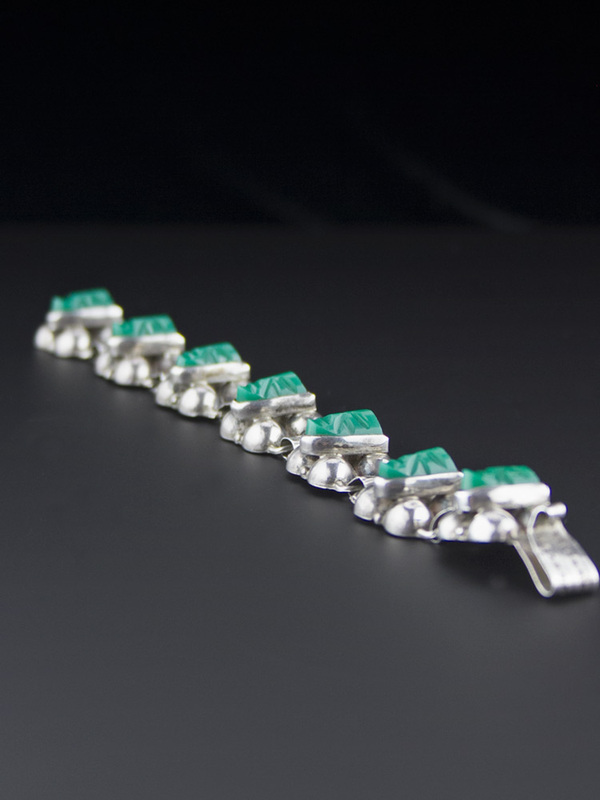 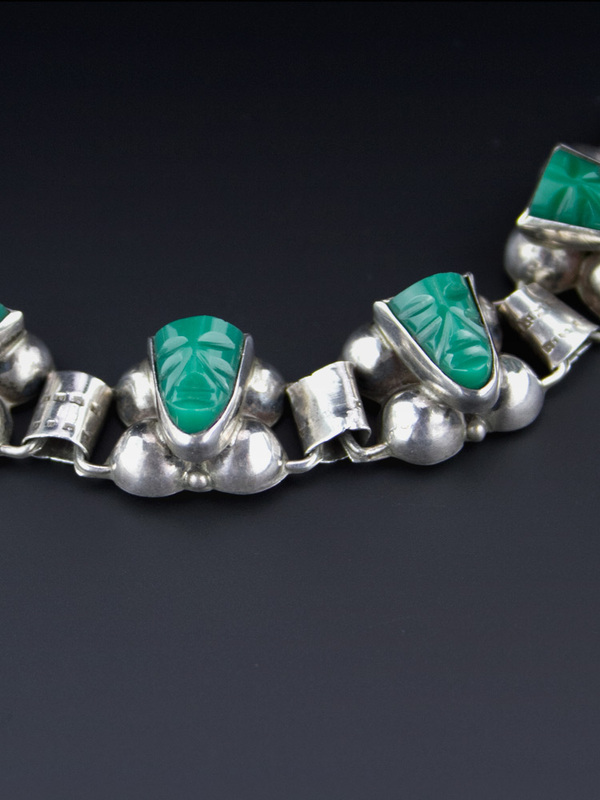 Dainty but bold art deco Mexican hand crafted vintage bracelet. 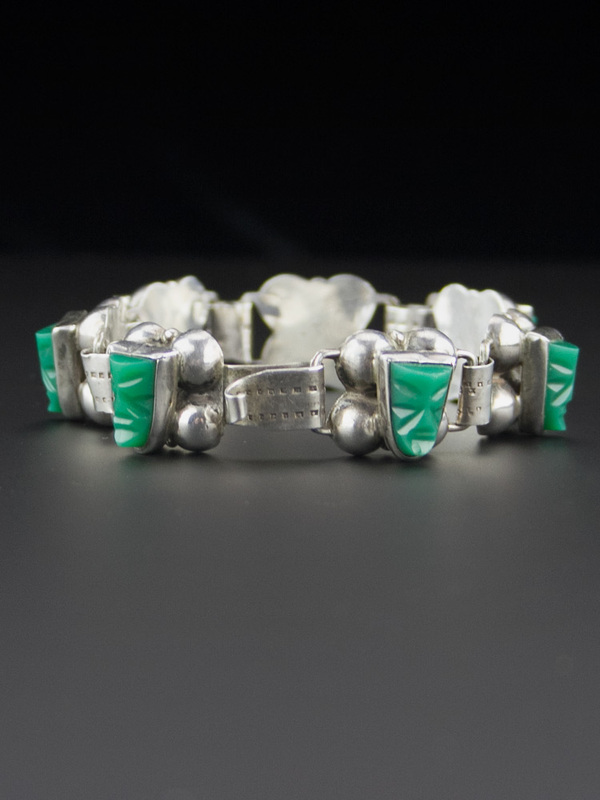 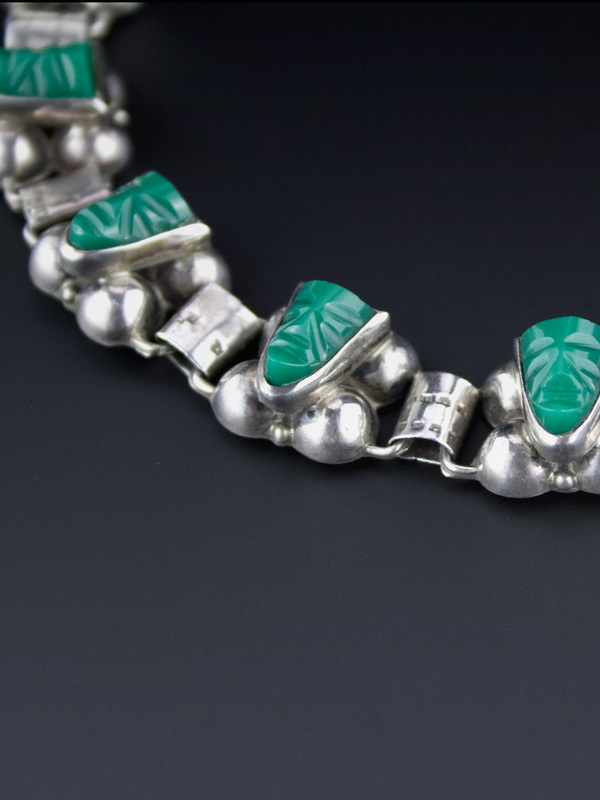 Domed repoussé links set with carved green onyx Azteca masks (stone is either dyed agate, calcite or onyx). 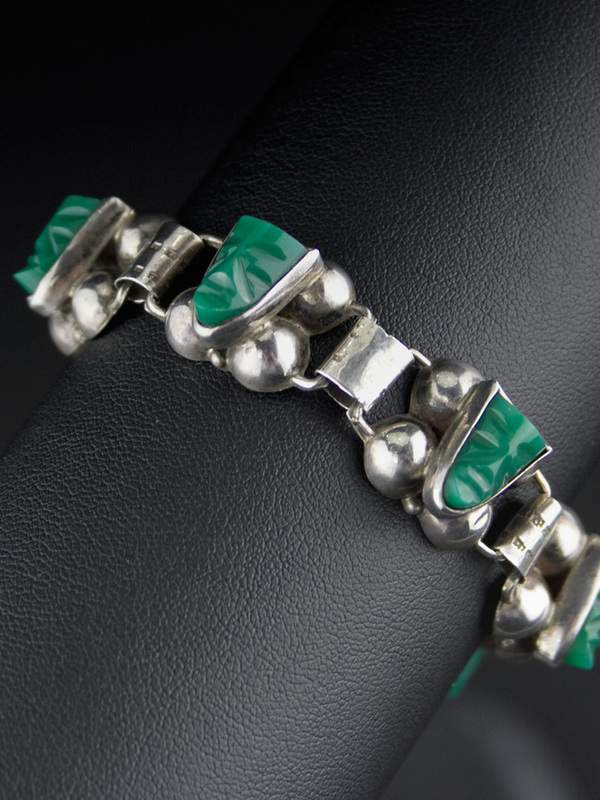 Hand hammered links and a simple j-clasp - this is a gorgeous, slender version of the wide Azteca cuff. 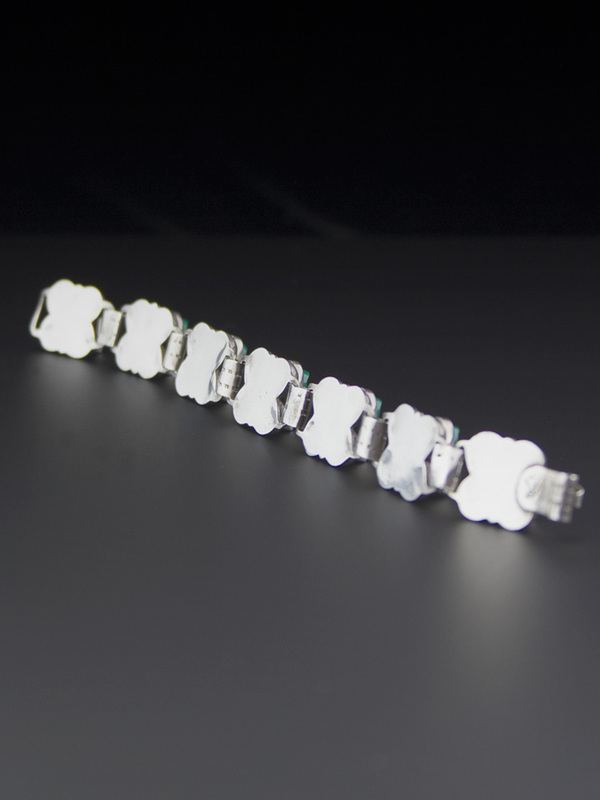 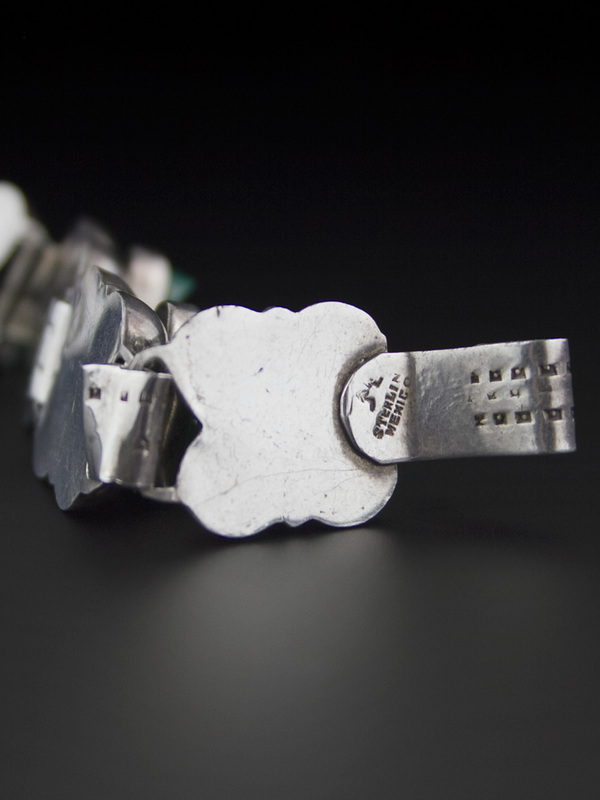 18.2cm long, each carved link is 1.5 x 1.5cm.